Joining a new club is always going to be an exciting but nervous time for a player and that will have been no different for Matt Polster in his move to Rangers. 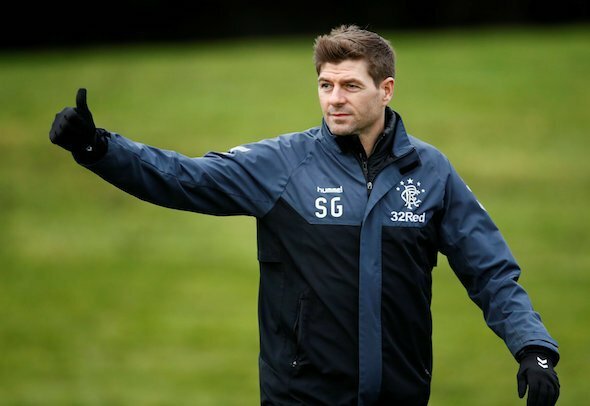 Arriving at Ibrox in January on a free transfer in January, the 25-year-old USA international has yet to be seen by the Gers faithful as he looks to force his way into Steven Gerrard’s plans before the season comes to a close. Able to play as a right back as well as in central midfield, Polster might be hoping that his versatility will see his chances of getting a shot in the first team increase significantly – although he should have already got one game under his belt. The American was pencilled in to play against Dundee at Ibrox last season but injury has delayed his debut – something which disappointed not only the player but his manager as well. He told the Scottish Sun: “I’m not actually sure when that (his debut) time will come. Unfortunately for Polster, chances to break into the first team do not come around often and while it might be hard luck with the injury blow, Gerrard is not going to shoehorn him into the side for the sake of it. With just league fixtures left there is no real need for rotation and with outside hopes of catching Celtic at the top of the table, the best players are going to be starting week in, week out. The best Polster can hope for is an injury to James Tavernier – with a central midfield berth almost out of the question thanks to the amount of talent already ahead of him in the pecking order. Unfortunately the one-cap American looks to have his frustrations continue for much, if not all, of this season and he will have to prove his worth in the summer instead – he must be tearing his hair out over it all.